After the great success of our opening concert, “Latin Treasures,” and the “Symphony at Shangri La” performance, we are super excited about our upcoming second Classics Series concert. We are going to continue our journey around the world as we head to Germany. 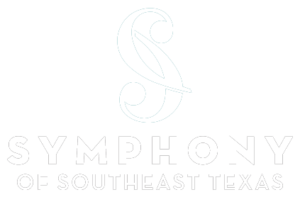 We will be featuring two members of our very own Symphony of Southeast Texas, Thomas Schroeder and Sonya Matoussova on the Vivaldi Duo Cello concerto. After intermission, everyone can enjoy the beauty and lyricism of Beethoven’s 4th Symphony. Come hop aboard our balloon around the world as we enjoy music from one of the great German masters! Home for the Holidays is back for the fourth year, and it has been growing year after year. This year we are going to sell out so get your tickets early and they are going fast. We love to feature great talent from the community for this festive concert, and this year will be no different. Joining us on stage this year will be choirs from Calder Baptist Church, the Southeast Texas Vocal Artists, which is a new chorus that just started up in the community, and the vocal artistry of Abigail Dueppen. There will be other surprises sprinkled throughout the afternoon as well. Make sure to share Beaumont’s favorite holiday musical tradition with family and friends, and be thrilled with the spectacle of the season. It’s going to be a sparkling holiday celebration!